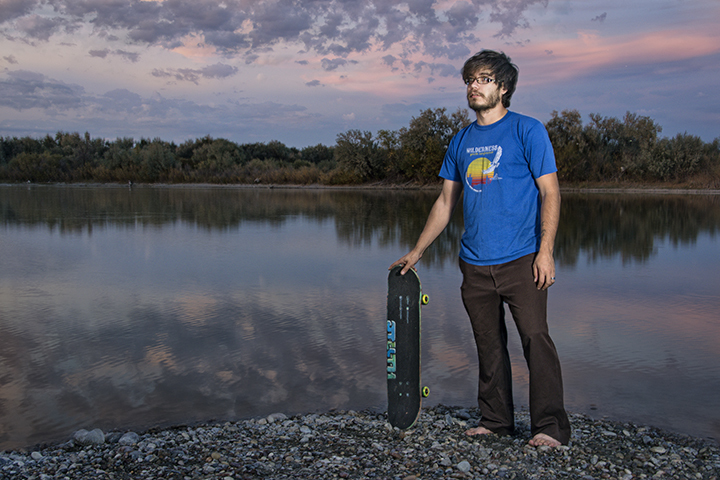 This is a self portrait I made for Advanced Photo Media at Idaho State University. I shot this at McTucker Springs in Pingree, Idaho. I grew up here, and there were not a lot of places to skateboard. I shot this at sunset with two speed lights and shoot through umbrellas.